Add a comment to this video on YouTube.Learn how to do Paul Kerbel’s Finger Spin grind tricks, which are Brent and Follow variations. 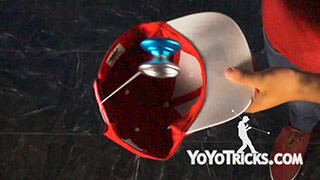 Brent and Follow Finger Spins Yoyo TrickIn this video I am going to teach you how to do fingerspin brent and fingerspin follow. This was fingerspin brent, and this is fingerspin follow. 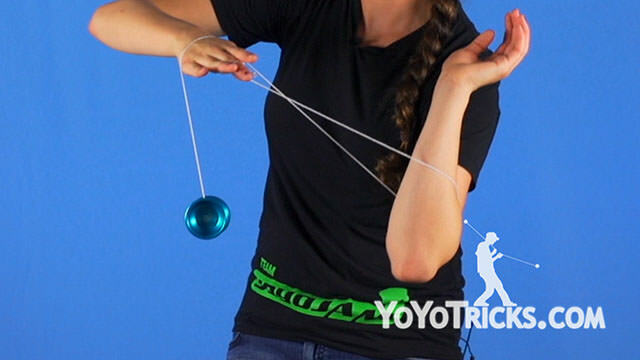 To do this trick, you need to throw a strong breakway and land on your fingerspin then put the string over your opposite shoulder, then put your yoyo hand under this string segment that is attached to the yoyo. 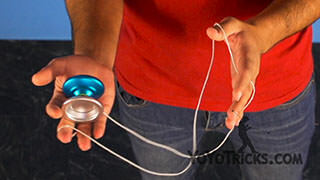 You create this big slack, and you go all the way around so when you are crossing your hands you have to pop the yoyo up and catch it underneath your yoyo hand. When you repeat this you get the motion until you finish the trick. To get the flow right, the yoyo needs to be already up in the air when the yoyo hand goes underneath the non yoyo hand. So it is going to look like this. 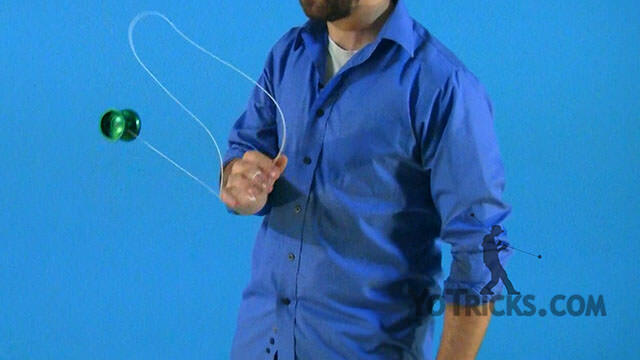 Also your yoyo hand should not stop moving, other wise it would look ugly and without any flow. To get the trick right, we need to practice hopping the yoyo up. To do this you have to make sure your finger is not stiff. You can even move your whole arm to cushion it or even your knees, to make it better. 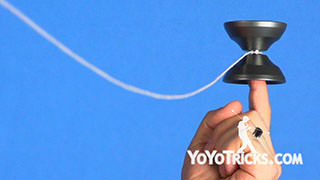 If you put it stiff, the yoyo might fall off, so that would make it way harder. 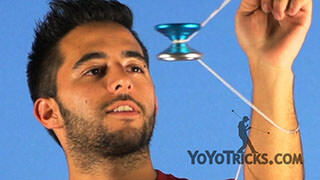 We also need to practice the motion with the yoyo not spinning. Once we combine these two, we can get the full trick as nice as I do it. 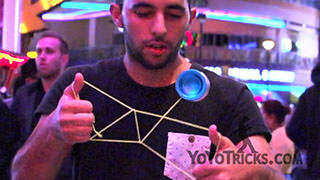 To do the follow fingerspin, you need to throw the yoyo from your opposite shoulder, into a fingerspin. 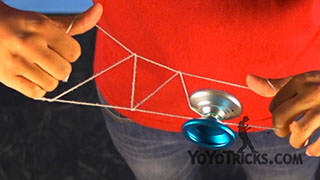 Then you need to bring the string to the wrist of your yoyo hand so you get it like this slack. You can perform the follow motion which is the opposite direction of the brent motion. 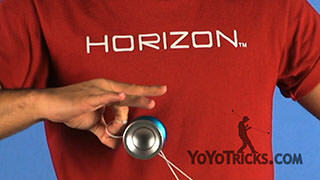 If you get the flow right, you need to pop the yoyo up just after your right hand passes above the yoyo like this. Like the trick follow, you should not pinch the string. 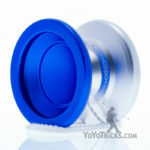 Most people do not know that the Horizon is also the best yoyo for offstring, because it is so floaty, you can toss it really high… You see, it is the best one.